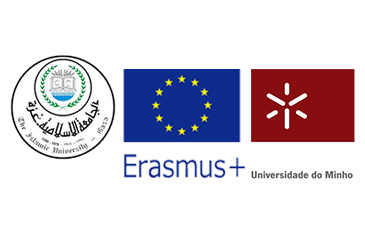 The External Relations Department at the Islamic University of Gaza (IUG) announces the availability of International Credit Mobility Opportunities for both IUG administrative and academic staff with University of Minho at Portugal under the EU-funded Erasmus Plus Programme - International Credit Mobility Project. UMOVE(ME) is the UMinho project under ICM 2017, which allows UMinho to receive/send students, teaching and non-teaching staff from/to 27 partner countries outside Europe including. o Contribution for Travel: 530 ERU. 6. Preliminary work plan signed by the parties involved. 7. Have established prior contact with University of Minho. - If you are interested, and all the eligibility criteria are applicable, please click here to fill in the application form.